By COP21, all countries are expected to submit their INDCs. However, it is estimated that the total volume of all INDC commitments is not enough to attain climate stabilisation below 2 degrees. For implementation from 2020, every country must strengthen their INDCs further, and it is necessary to build-up a cycle to reinforce INDCs while conducting periodical reviews. More importantly, policy development should be promoted using integrated assessment models, such as the AIM. 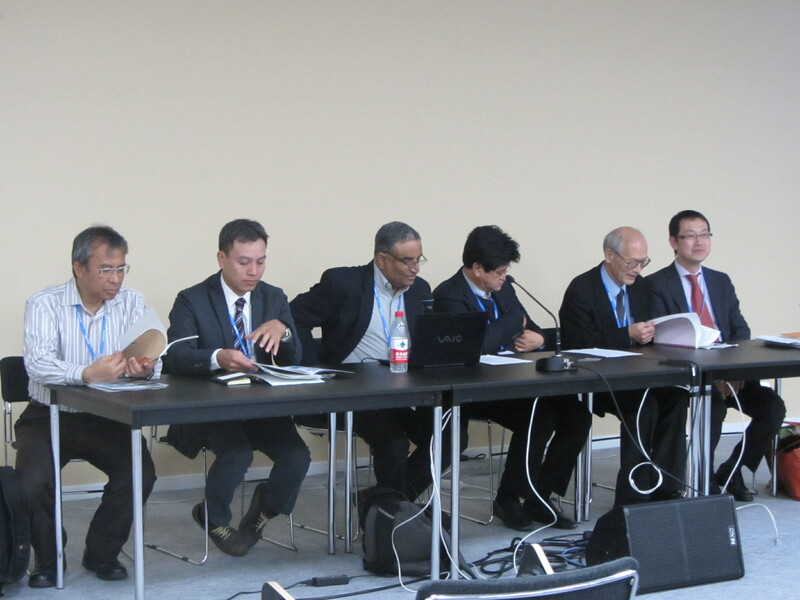 Based on the above, we would like to organise a side event on the growing importance of the AIM in Asia on the occasion of COP21. The side-event will begin with a keynote speech on “AIM in Asia”, when a brief explanation will be made about Japan’s contribution to Asia over more than 20 years and about the importance of the application of AIM into policy review. AIM researchers in each country will then present their respective research results and reduction potentials. Asian researchers making presentations themselves on their models will send a strong message about Asia’s growing potential to contribute to GHG reduction, and it will be an excellent opportunity to demonstrate Japan’s package-type support to the world which Japan has contributed to Asia for more than 20 years. For implementation from 2020, every country must strengthen their NDCs further, and it is necessary to build-up a cycle to reinforce NDCs while conducting periodical reviews. More importantly, policy development should be promoted using integrated assessment models, such as the AIM. The AIM team has been collaborating with researchers in-country in various countries in Asia. The fact that Asian researchers have been making presentations themselves on their models has sent a strong message about Asia’s growing potential to contribute to GHG reduction. First of all, Dr. Junichi Fujino gave a keynote speech entitled “AIM in Asia”. He explained the contribution made by Japan to Asia over the past 20-plus years and the importance of applying AIM to policy review. Dr. Fujino mentioned that AIM is a large-scale computer simulation model, and was developed to promote and facilitate an integrated assessment process in certain areas and regions. At the same time, AIM has been promoting international cooperation, for example by developing low-carbon society scenarios and roadmaps in selected counties and regions in Asia. It has become a network for information exchange, with more than 400 researchers. In this context, Dr. Fujino further explained a project commissioned by MOEJ on the development of low-carbon society scenarios and roadmaps. He introduced three components of the commissioned work, the development of appropriate low-carbon scenarios and roadmaps in each country and region by customising AIM; the organisation of policy dialogues based on the scenarios and roadmaps; and, the promotion of support for institution-building towards realising low-carbon societies. AIM team has collaborated with researchers and policymakers to design practical programmes and implementation arrangements for mitigation actions, by developing a PDCA guidebook summarising methods from the initial planning to progress management, as well as by promoting knowledge sharing and trainings for the introduction of the system for GHG emissions reduction in the operations division, in close collaboration with Tokyo Metropolitan Government. Prof. Ho Chin Siong, University Teknologi Malaysia (UTM), explained that in Iskandar Malaysia, a low-carbon society blueprint and roadmap were developed. He pointed out the importance of bridging low-carbon research with policymaking and actual implementation (from science to action). He also mentioned that receiving commitments and endorsement from leaders, as well as involving local communities and stakeholders concerned are the keys to promote actions. Prof. Rizaldi Boer, Bogor Agricultural University, introduced his modeling analyses in the AFOLU sector, by applying three scenarios, BAU, government (following development plan and target), and deep decarbonisation (following a development plan and target using an improved system and intensified mitigation actions). Prof. Boer mentioned that, towards realising low-carbon development, the development of tools and models by research communities, dialogues with government and other stakeholders, and the formulation of policies and development plans should be promoted in relation to each other, with mutual inputs and feed-backs. Then, Dr. Nguyen Tung Lam, ISPONRE, explained that the AIM team has been promoting low-carbon society scenario development for Danang and Ho Chi Minh City (at the city level) from this fiscal year. He mentioned that policy dialogues have been and will continue to be organised to foster an exchange of opinions and information. He also stated that activities towards realising low-carbon cities have been promoted in Viet Nam, as well. Lastly, Prof. P.R. Shukla, who was the chair and facilitator of this session stated that, for implementation from 2020, every country must strengthen their NDCs further. He added that it is necessary to build-up a cycle to reinforce NDCs while conducting periodical reviews. More importantly, policy development should be promoted using integrated assessment models, such as the AIM. He also mentioned that the AIM team has been collaborating with researchers in-country in various countries in Asia. The fact that Asian researchers have been making presentations themselves on their models has sent a strong message about Asia’s growing potential to contribute to GHG reduction. Prof. Shukla also expressed his gratitude for Japan’s package-type support to Asia for more than 20 years.